Sola Sisters: Jesus Came to Put Religion In Its Place? Jesus Came to Put Religion In Its Place? You can read the entire article by Alexander Griswold here. Andy Stanley: "The foundation of our faith is not the Scripture." 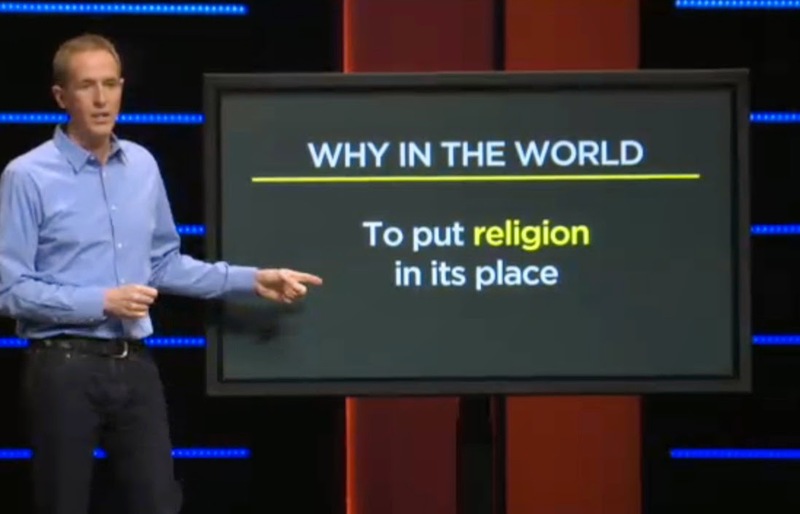 Is This Andy Stanley's Gay Affirming Shot Across the Bow? Problems at Andy Stanley's North Point Church? Et tu, Jars of Clay? Easter -- Is It Pagan?